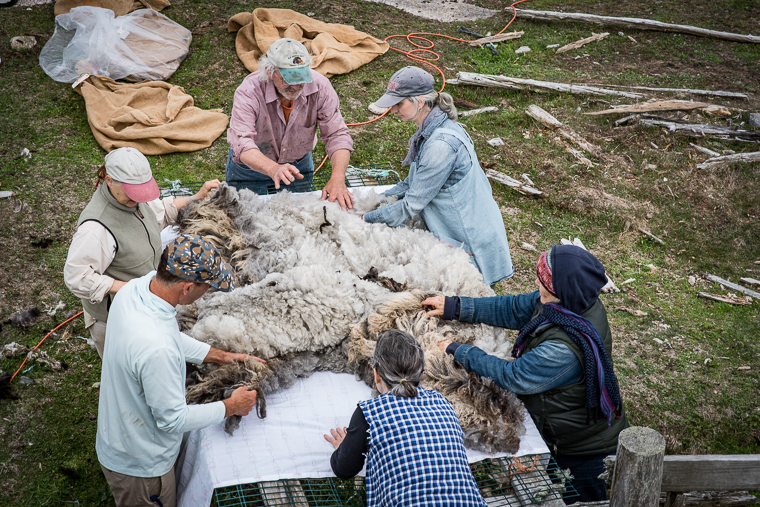 In June I was Downeast helping with the annual island sheep roundup with my friend Jani Estell and her Nash Island sheep. 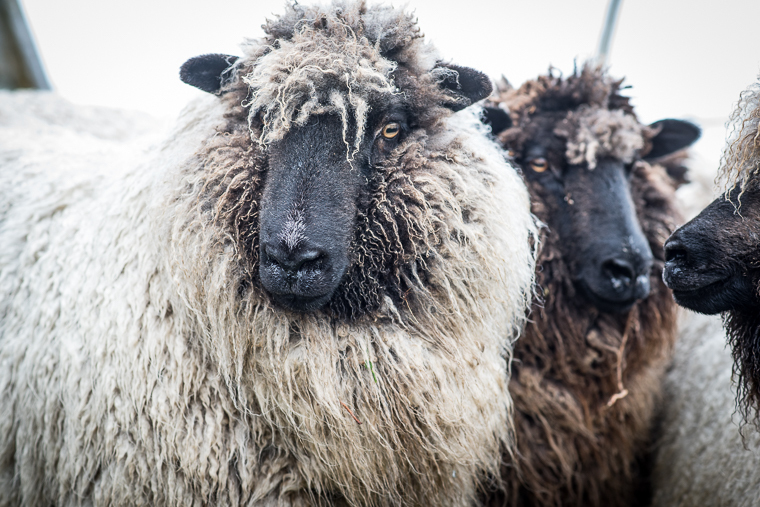 Their fleeces are what she uses for beautiful fiber and yarn at her mill. Along with Nash Island, which is her all-white largest flock (100+), she keeps a mixed colored smaller flock even further from shore, on tiny Flat Island. 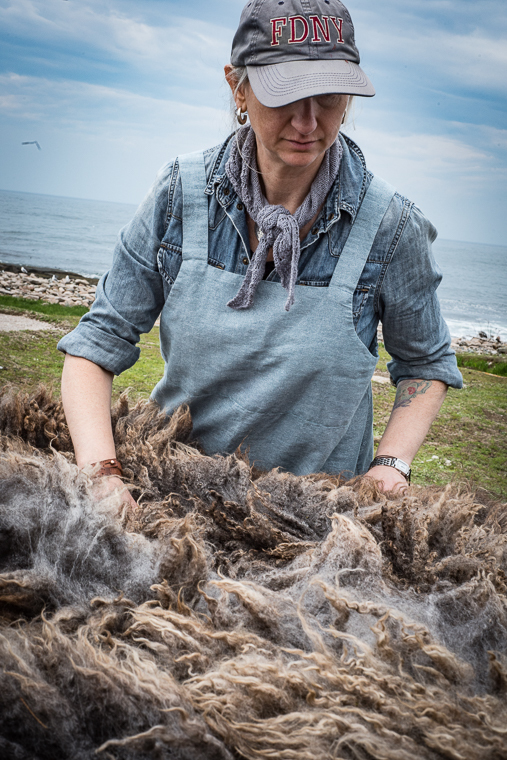 I usually travel up for the larger shearing but this year I was lucky enough to make the Flat Island outing on a wild and woolly early June day. 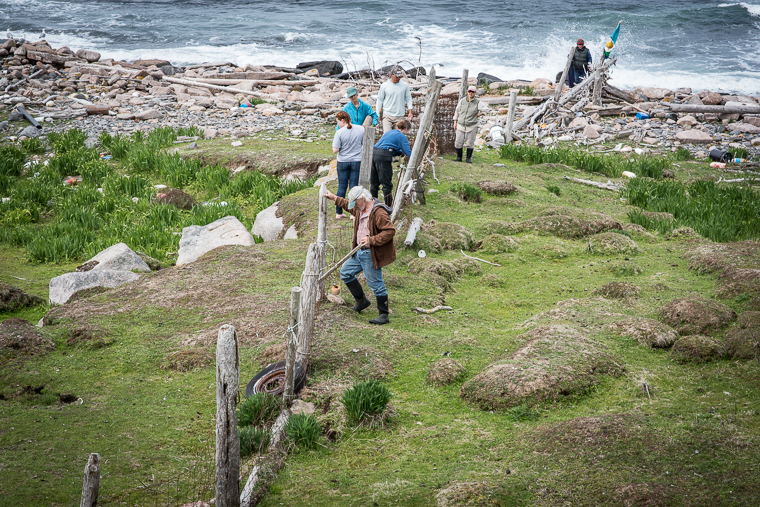 You can see ,from this view of the crew setting up the temporary corral, that there were what Mainers call "seas". Which means, wind and plenty of waves and whitecaps. It was an exciting ride out to the island. Part of the flock decided to go for a swim to avoid roundup (! ), which was also exciting-- and frustrating. They had to be left unsheared till they dried off. More than half of the population made it into the fencing. Looking down on the skirting table. That's normally my station but I was shirking my duties at that moment. Flat Island has a rocky outcropping, so I could get these views looking down on the action. This made me ridiculously happy. Beverly Army Williams skirting in great style. 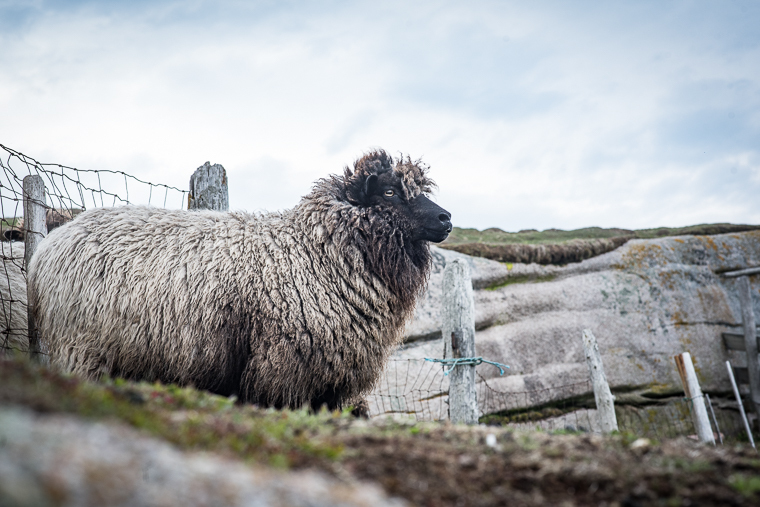 Look at that gorgeous fleece. Also at her Elizabeth Shannon apron she made from an Ellen Mason pattern. 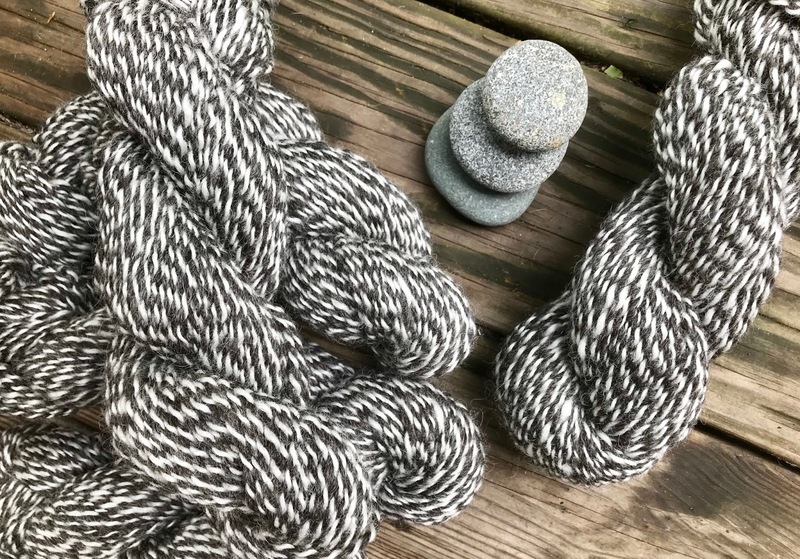 Jani released a new yarn called Mucklmarl that's spun from the fleeces of these colored Flat Island sheep plied with her white Nash Island. It is bouncy and soft but also woolly and just exactly what I want a sweater of! I came home with an SQ (sweater quantity) and am spending waaaaay too much time considering my options of what to cast on. 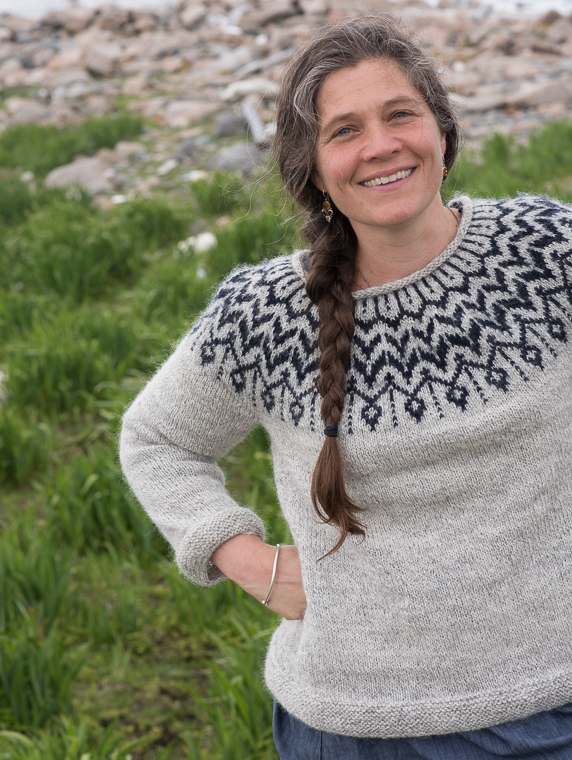 Sarah Hunt, aka Fibertrek, and the leader of the Wool Scout retreat along with Jani, knit a Dreyma pullover in the lighter shade of Mucklmarl with a solid for the colorwork. Love this! #3 sometimes it's hard to decide what to knit when you have an SQ of yarn that is special to you I want to knit a pullover, something slouchy to wear every day. Top contenders at the moment are The Weekender, LouLou , Circe or maybe Such a Winters Day... but I am open to pullover suggestions! What have you seen? 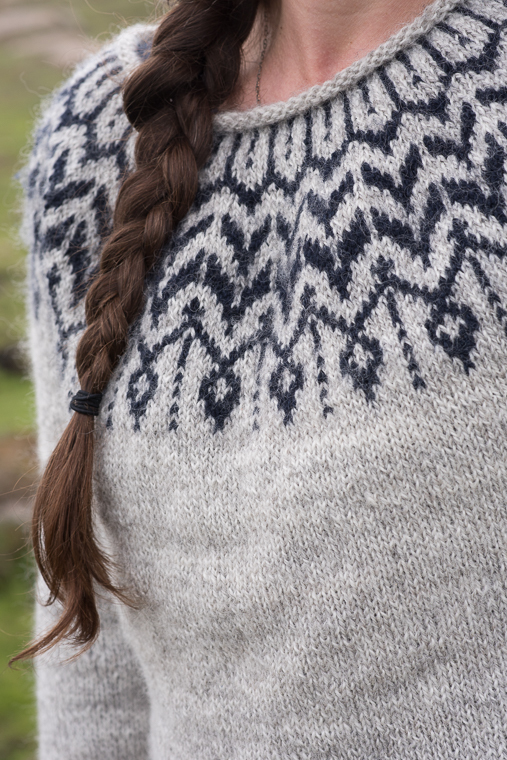 Mucklmarl is worsted weight with a little bit of halo so it could be knit on a 7-9 needle. If you want some, it's a limited release, sold by ClementineMaine online or if you happen to be in Rockland Maine, stop in. whew, it feels good to be back! what are your knitting plans for the cooler weather ahead? Wow. Wow. Wow. What gorgeous shots from a perfect outing! (I would love to draw one of those sheep. . . ) As for the knitting . . . you've got some great patterns there on the "thinking table". I'm kind of partial to the Weekender myself (although I do wonder if the shoulders are stable enough; what do you think?). 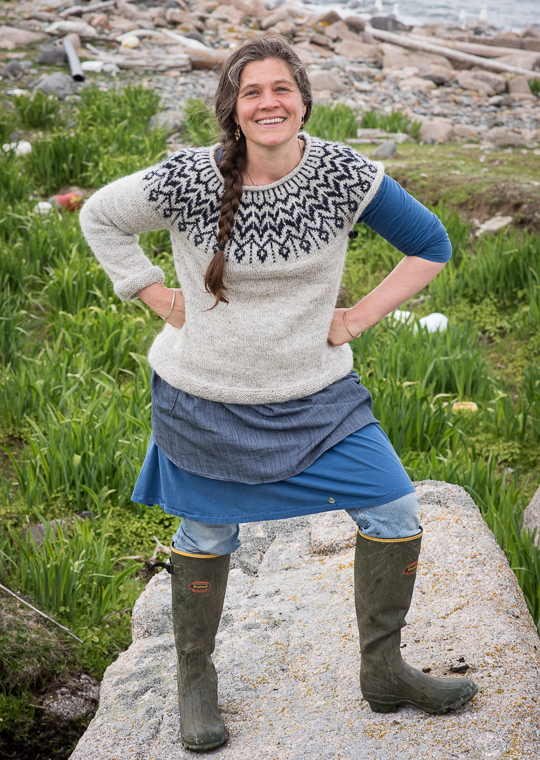 I am not much of a sweater knitter, but Mucklmarl could make me change my ways. 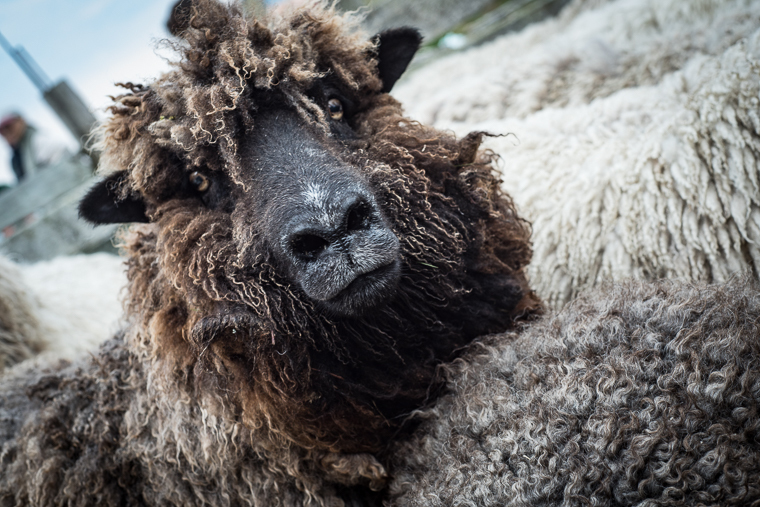 Gorgeous photos, wonderful yarn, and the bonus of mental images of sheep swimming! Your photos are gorgeous- the colors, the scenery, the clarity - I feel like I was there! And that sweater is pretty awesome. Enjoy your yarns and pattern choice. I would love to go with you on this outing sometime! Wow... sheep and views! And, I love that sweater! Gorgeous!! Thanks for taking us on your adventure. I think I like The Weekender best -- though I'll admit that besides liking the style, I like that it doesn't have a seed-stitchey pattern, which isn't my favorite work. Circe has pockets, which is nice in an everyday garment. Looks like a wonderful day and some really great yarn! So glad you share these island adventures with us. And oh, heck, yeah, I think Circe's the sweater for some special yarn I've been wanting to cast on with, too. What fun! Though I admit I might have had some difficulty on the trip out with those "seas." LOL Love all the shots you got, and the thought of sheep swimming is just too funny. You've got a good selection of patterns to choose from - I like them all, but perhaps Circe the best.